Supreme Court 2014: Is Justice Scalia too dismissive of “specious unanimity”? Is “specious unanimity” as awful as it sounds? Supreme Court Justice Antonin Scalia at the American Enterprise Institute in 2012 in Washington. “I prefer not to take part in the assembling of an apparent but specious unanimity.” This statement, by Justice Antonin Scalia in his concurring opinion in the abortion clinic buffer zone case, McCullen v. Coakley, is perhaps the most intriguing sentence to emerge from the Supreme Court this term. The cryptic utterance is capable of several meanings. Perhaps it merely refers to his own decision not to join a part of the opinion he thought the court need not have reached. But in context it seems to be saying something far more significant about the court’s (usually confidential) internal process of deciding a case. His statement suggests that the “specious unanimity” in the case was “assembled” by virtue of a compromise among Chief Justice John Roberts and the four more liberal justices, in which all five sign on to an opinion with which most or all of them in some measure disagreed. The compromise would presumably have been this: One or two or all of the more liberal justices would have agreed to join the chief justice’s conclusion that the Massachusetts buffer zone around clinics was not sufficiently narrowly tailored. In response, the chief’s opinion would address and decide that other measures to facilitate entering abortion clinics could be permissible, even though they singled out clinics for protection not offered to other premises. Was there such a compromise? I have no idea. In fact, Justice Elena Kagan and others indicated at oral argument that they considered the buffer zone literally and figuratively to be too broad, so it’s not by any means hard to believe they personally agreed with all of the chief’s opinion. It would not even have occurred to me that there was a compromise were it not for Scalia’s biting reference to the process of “assembling of an apparent but specious unanimity,” of which he wanted no part. I’m less interested in the unknowable question of whether Scalia is right in suggesting the existence of such an agreement than I am in thinking about whether such a compromise result would be wrong. 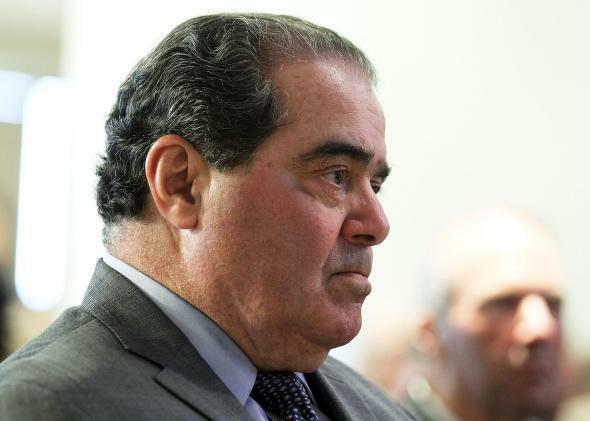 Scalia’s rhetoric seems to suggest disapproval. I’m not so sure. Here is the issue. Is it the proper role of a justice (or, for that matter, any judge on an appellate court) to vote on every issue in a case in accord with his or her best reading of the relevant sources? Does the judge’s oath require that? Or is it instead a judge’s obligation to act as a cooperative member of a multimember collective of judges who are jointly responsible for coming up with a sound resolution of a problem? Or should they be shooting for something in between? It seems to be the unspoken assumption of our current legal culture that the individualistic view of judging should prevail. It was not always so. On the court of John Marshall, almost all cases were decided unanimously, although it is certain that many of those justices would have disagreed with many results reached by their colleagues. Scalia, on the other hand, believes in a particularly strong version of the individualistic model. That seems to flow from the certainty he brings to the task of judging. Every answer seems so clear to him that it would be grounds for serving time in purgatory if he ever put his name on an opinion with which he had a significant disagreement. There is much to be said for the individual model of judging, but it strikes me as tending to be both arrogant and selfish. It conflates one’s own view of what is the best answer to a legal question with “the Truth.” And once you make that move, it does seem wrong not to be true to thine own self. The individualistic model may also reflect an unduly exalted view of judging. A more modest view of the role would be that the job is simply to assist in resolving disputes among litigants and to give guidance to those who must rely on judicial decisions. Under that view, working together with one’s colleagues to produce a coherent whole would seem the better way to proceed. To give a concrete example: For several decades, about half the court thought in their heart of hearts that there should be no meaningful constitutional limits on the use of race for affirmative action, and about half thought that such uses of race were always prohibited. Justices Lewis Powell and Sandra Day O’Connor believed the answer should lie somewhere in between. Their view was clearly the center of gravity of the court. If the other justices had put their “individualistic” views aside and joined in a unanimous opinion to that effect, we would perhaps have had a lasting solution. If this were simply “lawless,” I can see ruling it out as a solution. But I don’t think the answer to a question like this is so clearly imbedded inside the word equal that there is a clear right or wrong answer. These are hard questions about judicial role, however, and I am by no means sure of the right answers. Maybe the Supreme Court building is part of the problem. For almost all of American history, before that magnificent structure was completed in 1935, the Supreme Court met in the Capitol building, one floor below the House and Senate chambers. Maybe that was a better place. Because if nine people go to work every day in a temple, they understandably begin to think of themselves as gods.